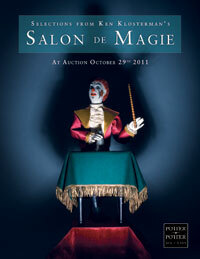 Recently, Potter and Potter Auctions had an auction of some of the items from Ken Klosterman's Salon De Magie. I have visited the Salon De Magie, as well as his second less known location. It's one of the most amazing experiences I've ever had related to magic. I was there with friends, Mark Daniel and David Kaye and we spent the entire day and evening with Ken. Truly one great guy. 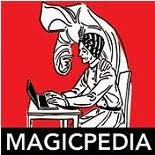 The Magic Newswire, another of my favorite online resources, did an interview with Ken as a prelude to the auction. 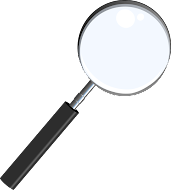 Even though the auction has passed, the interview is well worth listening to. I was personally intrigued with his information regarding the Robert Houdin Crystal Casket and it's true authenticity. Please take some time to listen to the interview. It's available in multiple formats and I typically listen on my iphone while I'm driving. Great stuff! By the way, The Salon De Magie is still around, Ken only sold off a very small portion. According to the interview, he is STILL COLLECTING!